Iowa law supports an equitable division of marital property during a divorce. Unlike states that implement a 50-50 split, divorcing spouses can expect to receive a portion of property based on fairness and each party's contribution to the marriage. Disposing of property pursuant to a divorce is accomplished either by mutual agreement in a prenuptial contract or a marriage settlement agreement, or by the court during a hearing. Division of marital property in Iowa is not subject to allegations of wrongdoing or misconduct in the marriage. Iowa is one of 18 U.S. jurisdictions offering no-fault divorce as the sole ground on which to dissolve a marriage. 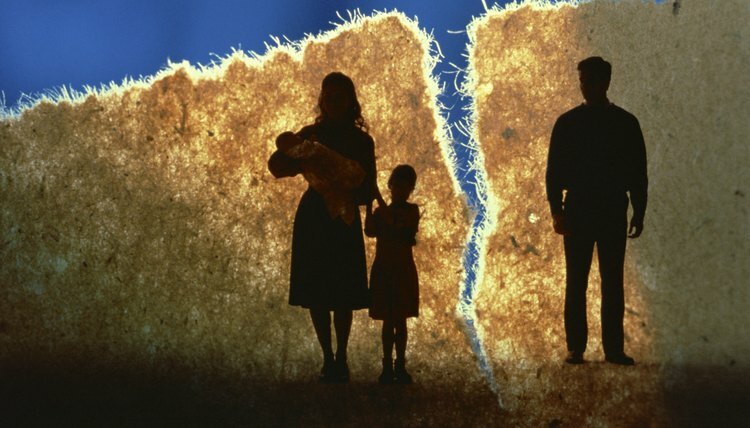 Other states offer grounds upon which a party can file for divorce, but Iowa spouses need only cite "irreconcilable differences" as the reason for the dissolution. Marital misconduct such as adultery, abuse or abandonment are not considered when property is divided, unless the conduct impacted one spouse's earning potential, ability to work or health, which are factors considered in the equitable distribution of property. When it comes time to divide marital property, the judge will consider each spouse's current needs and financial situation. The court will also consider each party's joint contribution to the marriage, including homemaking and child rearing efforts. Other factors that determine how marital property is divided include each spouse's age, health and employability; the duration of the marriage; and any contribution by one spouse to the training or education of the other. The court will decide which spouse receives the marital home, or right to live in the marital home, based on who has physical custody of the minor children. The court also considers tax consequences, benefits and written agreements between the spouses when dividing property. Not all property is subject to division by the court. Property received by either party during the marriage pursuant to an inheritance is considered separate property and is not subject to division. Gifts received by either spouse are also not subject to division. If one of the parties can properly show that refusal to divide gifts or inheritances would be unfair and inequitable to her or the children, the court can make an exception to this rule. Marital property subject to division may include real estate, bank accounts, pension funds, savings and other assets acquired from the wedding date forward. If money that was acquired prior to the wedding was commingled with marital funds, the court will likely consider that money to be marital property, unless the party can provide detailed financial statements proving the assets originated prior to the marriage. Appreciation of assets gained during the marriage are subject to division, even if the asset was obtained prior to the marriage. Debts are also considered marital property and the court must assign liability to each party, depending on that party's ability to pay. Community property states, such as Arizona, view assets acquired during a marital relationship as equally shared between spouses. Because Arizona is a community property state, family law courts generally distribute marital assets equally among spouses upon divorce. Property subject to division upon divorce includes real estate, bank account funds, personal property and retirement accounts such as a 401(k). Spousal infidelity, referred to as adultery, continues to be recognized as a basis for divorce in Pennsylvania. If your spouse has been unfaithful, the degree to which you will be successful in obtaining a divorce based on that behavior will depend on whether you can prove the existence of the affair. Further, although the court is not allowed to take into account marital fault when making property determinations, adultery is one factor the court considers when deciding whether the cheating spouse should receive alimony. Each state has its own laws regarding the division of marital property in a divorce. Community property states, which stand in the minority, require courts to divide an estate equally, whereas equitable distribution states -- the majority -- seek to divide estates equitably, or fairly. In both types of jurisdictions, inherited money is usually considered separate property and not divisible in divorce. The burden of proving that certain funds represent your inheritance, however, will likely rest on you.